When it’s time to start thinking about your kitchen renovation it can feel overwhelming with all the choices and decisions there are to make. The materials, the colors and staying in budget, even with a designer it can feel like there is not end to the things to choose. The best way to make your way through the piles of choices is to go to a kitchen showroom chch to gain some clear ideas into not only what you want but also the things you don’t want. 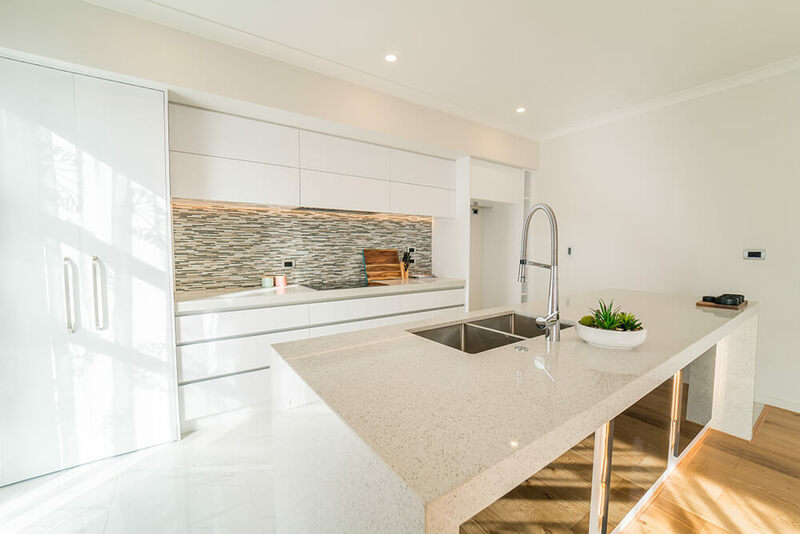 Kitchen showrooms chch are invaluable to the kitchen renovation process when it comes to gaining inspiration and an understanding of how everything fits together just so. Countertops are usually a good starting point for any kitchen. It can help establish a base color for your design where other things like cabinets and splashback to play off of. A kitchen showroom chch will be able to offer not only color choices but also choices for materials such as quartz, marble, tile and more. It can be hard to picture a certain countertop material in just a flat pictures. You’ll also be able to decide what kind of edges you’d like cut into your countertops. Showrooms allow you to see and feel the different materials and how they work with other colors. and even finishes. Showrooms allow you to see the different hardware that can work with different style doors. Also storage options are important when deciding cabinets, what size drawers or special features you’d like included in your joinery and cabinet installations. You’ll be able to open and close different styles of cabinets to decide what style fits your need and style for your kitchen overall. Looking at cabinets in pictures just doesn’t allow you the full scope that a kitchen showroom chch gives. Colors and themes are the hardest thing to choose when it comes to your kitchen renovation. Do you go dark and add all kinds of modern touches and dark woods. Or do you go light and make everything really white and clean. Or do you go completely sideways and mix and match colors from all over the spectrum. Kitchen showrooms chch can bring inspiration to you and show you could be an option as far as colors. There are so many models to see and choose from. And each model will also have a list of things to choose from to customize it to your exact taste and needs. Showrooms allow you to see how everything can come together when all the pieces are chosen just right. Splashbacks are an important part of your kitchen design. But they also can be the hardest to choose because of the wide array of colors shapes materials and designs that they can come in. The choice used to be limited to white subway tiles but now the world is your oyster. A kitchen showroom chch give you an opportunity to look at all of these choices and styles in one location. You and your designer will be able to narrow down the right choice for your kitchen and see how it flows with other things you have chosen for you kitchen. Lighting can be a daunting choice. Too much and you feel like your on stage or in a fish bowl. Too little and your not able to work properly in your kitchen in a kitchen showroom chch you’ll be able to test and see the different types of lighting available for your kitchen. You’ll be able to create a lighting masterpiece by choosing task lighting to cook in and ambient lighting for guest to enjoy the space in. you kitchen designer and you will be able to choose the best style lights and the best place to utilize them in your design. You’ll also be able to choose lighting that is energy efficient. Kitchen showrooms chch will be a great help when designing the kitchen of your dreams. You’ll be able to pick out and match each and every detail of your design all in one central location. You’ll be able to feel materials and see how things look together which will really help your design come to life in your head before construction starts. From cabinets to lighting and everything in between a kitchen renovation just cannot be complete without a trip to your kitchen showroom chch. Next Next post: Kitchen Design Ideas : Which is Right For You?